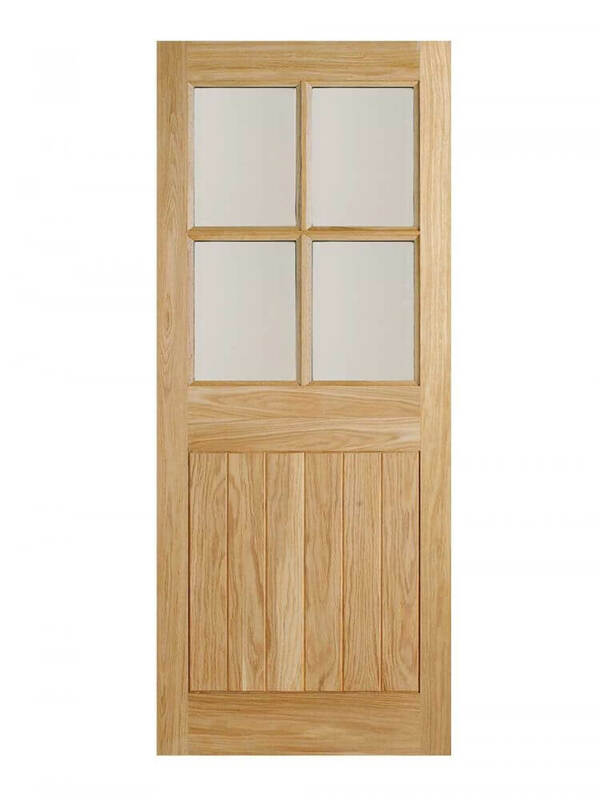 Oak Cottage Glazed 4L. A country cottage style door for your period or cottage property, with a dowel construction. Features four clear double glazed panels and six slim, vertical solid panels. 4 Lights With Clear Double Glazed Units.